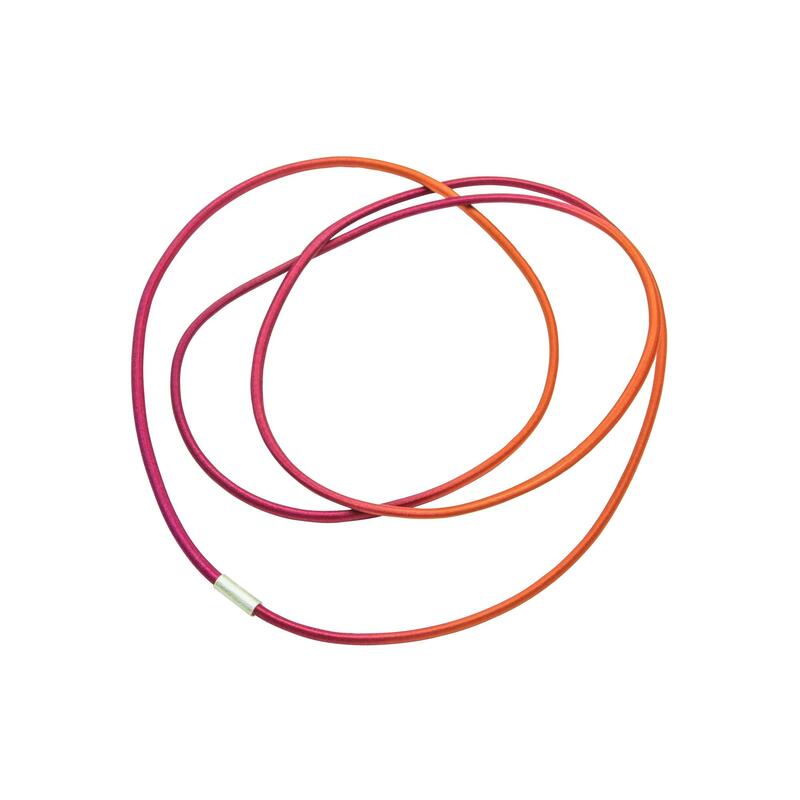 Made from ombre coloured elastic and a sterling silver tube. Easy to wear, no clasp. 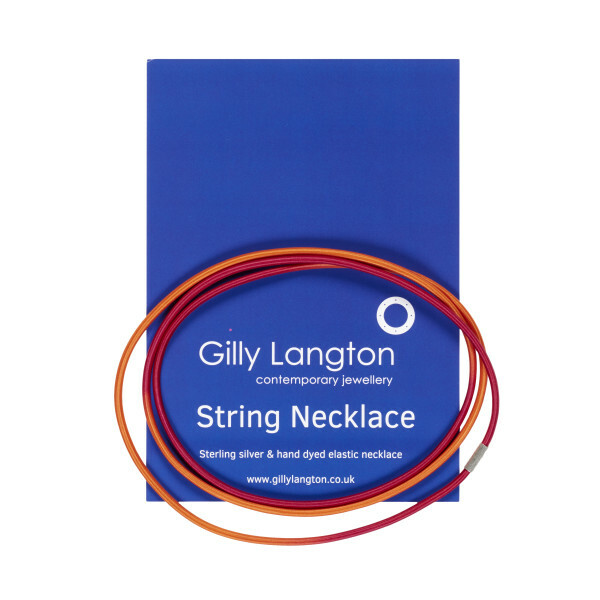 Gilly Langton is a Contemporary Jewellery Designer; she runs her business from the remote Highland village of Plockton on the West Coast of Scotland. - To clean your silver and elastic jewellery hand wash with a sponge, liquid soap and water. - Air dry all silver and elastic pieces flat or on the edge or radiator, towel dry all silver pieces.